I use a sony UP-DR200 printer on a windows 10 laptop and I occasionally get printing errors and the retries also get the error message. 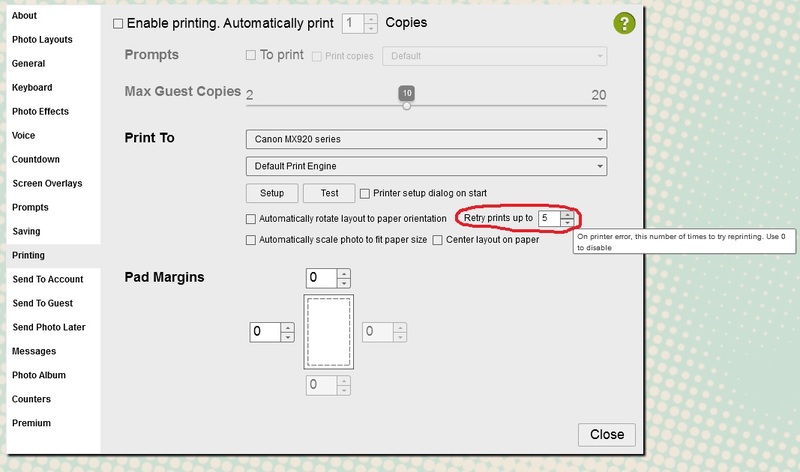 But if I wait 5 seconds to try printing again, the error message doesn't pop up. If there's a way to delay the print retries, this would save me having to buy another expensive printer just to avoid this printing error. That can help with print errors. I have tried the Windows Viewer option, unfortunately it won't print at all with the Sony UP-DR200 printer. I assume its the drivers that wasn't really made for windows 10, I haven't been able to try it on a Windows 7 OS. John Wu closed this discussion on 06 Jun, 2016 07:31 PM.